BEARS Welcomes You! | News, Views & "To-Dos" from the Broadcast Employees Amateur Radio Society, Inc.
Our quarterly BEARS meeting and VE session will take place Thursday, January 17th, 2019 in the cafeteria multimedia room at ABC News HQ, 47 West 66th Street in Manhattan.The venue is between Central Park West and Columbus Avenue, and is one block east of the 66th Street station on the #1 subway line.PLEASE NOTE: High-Rise construction directly opposite ABC News HQ has severely restricted parking on the block. Two parking garages are available, directly across the street from the ABC campus.Our Club meeting will take place from 5p-7p, with our quarterly VE session taking place immediate afterward, from 7p-9p. When you arrive, please check in at the lobby security desk, and tell them you’re here for the BEARS meeting in the cafeteria. As always, we’ve invited members of CERT to join us, and we’re pleased to welcome leaders and members of NYC ARES. There are many changes in the ARES organization and operating structure — and changes, too, in the role BEARS repeaters will play going forward. We look forward to hearing details, and offering ARES an opportunity to recruit new blood into its ranks. ATTENTION ANY AND ALL VEs: Retirements, job losses and the general unavailability of our usual pool of VEs MAY FORCE CANCELLATION of our VE session. As you are likely aware, we are mandated to have at least THREE VEs in attendance to administer and process the exams. Right now, we are one VE short…and we always like having one extra in case last minute issues result in any other absences. PLEASE…IF YOU AN ARRL VE with VALID CREDENTIALS, please reach out to Bill Kirkpatrick, our VE chair, if you can assist us at our session on the 17th. We’ve already set out meeting and VE schedule for the remainder of the year, so mark April 17th, July 23 and October 23 on your calendars; all meetings begin at 5p and all VE sessions commence at 7pm. Our first quarterly meeting of the 2018-19 BEARS activity year takes place on October 18th, in the cafeteria multimedia room at 47 West 66th Street, between Central Park West and Columbus Avenue, in Manhattan. Our Club meeting will take place from 5p-7p, with our quarterly VE session taking place immediate afterward, from 7p-9p. Garage parking is available directly across the street, or travel via the #1 subway to the West 66th Street station and walk one block east. This is an important meeting, as we’ll be discussing the long-range future of our Club and update our many pending projects. RSVPs are respectfully requested. If you plan to attend this meeting, please contact Howard Price/KA2QPJ, BEARS President, at President@w2abc.org, to put your name on the clearance list. Please use the subject line BEARS RSVP when responding. As promised, we’ve established a conference bridge to allow members who can’t make our meetings in person to participate from anywhere they have access to a phone. To join our meetings telephonically, please dial 712-451-0878 and when prompted, enter PIN code 174908, followed by #. We cannot always guarantee the quality of the audio, but this service is free, and is another Club initiative to better serve our geographically diverse membership, and make participation in the club more convenient. A reminder that our annual election meeting will be held Wednesday, July 18th, 2018 at 5pm ET in the Multimedia Room at the rear of the ABC Cafeteria, 47 West 66th Street/Mezzanine, in Manhattan. That’s between Central Park West and Columbus Avenue. Garage parking is available across the street (on-street parking is available ONLY for those with NYP license plates), and the facility can also be reached by bus and subway (the 66th Street stop on the #1 line is about one block west of the ABC campus). The meeting will take place at 5pm, just prior to our quarterly VE testing session. This general membership meeting is being called to elect new executive officers. Only BEARS member in good standing are eligible to participate in our nominations and elections. Complete a BEARS membership application online here if you are a current OR prospective member. Alternatively, you request a hard copy membership form that will be sent to you via e-mail, which you can complete and mail to our Club PO Box listed on the form. The Club must have a complete record on each member before they can participate in our annual elections. Only members in good standing registered with the Club by 5pm ET on May 31st, 2018 may participate in the 2018 election process. Our constitution and bylaws specify that only FULL MEMBERS (active or retired employees of The Walt Disney Company and its subsidiaries, and former Disney employees separated without cause) are eligible to hold executive office, act as a director or repeater trustee or serve as repeater control operators. Committee chairs must also be active or retired TWDC employees, or employees separated without cause. It also goes without saying (we hope) that all executive officers, committee chairs and directors MUST HOLD VALID FCC AMATEUR RADIO LICENSES. But committee membership (except for committees established to revise our constitution and bylaws, which are limited to Disney employees or retirees) is open to all members in good standing, and ALL members in good standing, FULL OR ASSOCIATE, can cast votes for prospective officeholders – and for other Club business – in this or any other election. If you know of a BEARS member who does NOT have e-mail or web access, and should receive notice of our upcoming meeting and elections, please use the CONTACT link at the foot of our home page to send us their name, call and address, and we will snail-mail them a hard copy of this notice and attachments. Friends, there is no BEARS – and no BEARS repeater system – without you. So please, get on the air on 147.27 Mhz (PL 141.3) or any of our other BEARS or DARI repeaters, step up to take a leadership role in your Club – and join us for annual election meeting here at ABC on July 18th, 2018 at 5pm. BEARS is privileged to host National Weather Service SKYWARN training at its quarterly meeting on May 9th, 2018. PLEASE NOTE THE DATE CHANGE. Our April 18th meeting will be a regular quarterly Club meeting at 5pm, with a VE session following at 7pm at our regular meeting location, the cafeteria multimedia room at ABC News HQ, 47 West 66th Street, Manhattan. 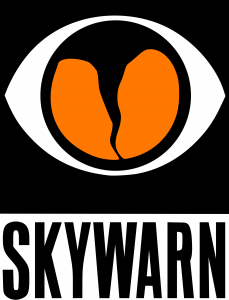 The SKYWARN meeting will take place at 7pm on May 9th in the same location. RSVPs will be required to assure sufficient seating for all participants at BOTH meetings. To register for the April Club Meeting and VE session, please send an e-mail with the subject line BEARS APRIL MTG – VE SESSION (including your name and call in the body) to President@W2ABC.org. If you’d like to register for a VE exam, please send the same e-mail under the same subject line to Bill Kirkpatrick/WK2O at Kirkpatrick@comcast.net. To register for the SKYWARN session, please send an e-mail with the subject line BEARS SKYWARN SESSION, with your name and call in the body of the e-mail, to President@W2ABC.org. 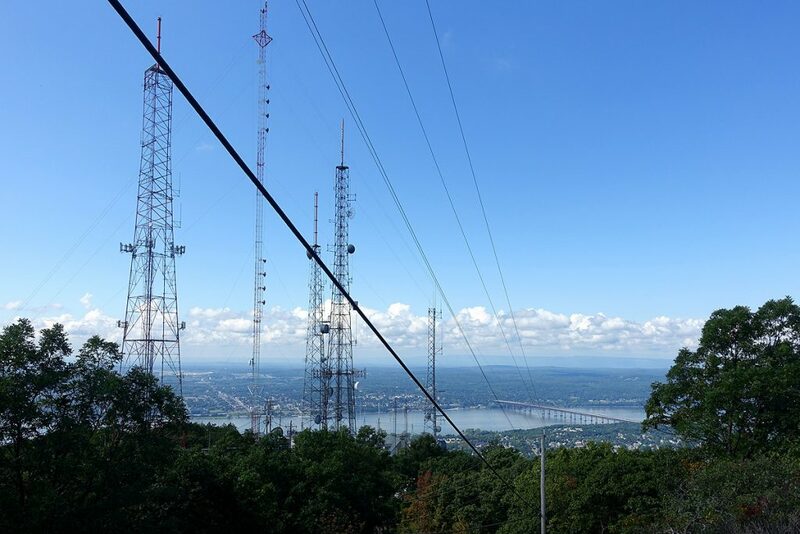 BEARS is pleased to announce big improvements already in place — and still to come — at our Mt Beacon repeater site in Dutchess County, NY – and changes to our repeater partnership on eastern Long Island. The NYC ARES talkgroup is also programmed for Push-to-Talk access on these machines. We’ve also temporarily disabled our W2ABC/RPT at Mt Beacon to reprogram it for a new pair. As you may know, our operation on 441.05/446.05 MHz has been challenged by a CT-based packet network for some years now. With Bernie’s help, we’ve found a new pair we believe can be coordinated at Mt Beacon…and we hope to have our UHF analog repeater there up again on the new pair, and operating under the K2HR call, in a matter of weeks. Stand by for updates! Out east, challenges at the WLNG-FM transmitter site forced a move of our eastern Long Island repeater link. Partnering with the Peconic Amateur Radio Club, and longtime BEARS legend Charlie Burnham/K2GLP, we’ve linked to the W2AMC repeater (440.050 +, PL 107.2). The repeater was designed and built by longtime BEARS member Richie Balas/W2RB, and NX2O (SK), and will be overseen by trustee Peter McGreevy/K2HF. The link was proofed by Jerry Cudmore/K2JRC. The new machine is on DARI network between 9a-7p daily. It’s located in an environmentally controlled facility, sits on a government radio tower about 350 feet up, and will provide excellent coverage of the east end from Riverhead to Montauk, and across LI sound to southern CT.
Our thanks to Charlie, Richie, Jerry, Peter and the Peconic ARC group for collaborating with us, and much gratitude to Jon/K1IMD for many years of partnership at Sag Harbor. Our second quarterly meeting of the 2017 activity year will be held April 19th, 5pm, at the ABC News HQ, 47 West 66th Street in Manhattan (between Central Park West and Columbus Avenue). The meeting will take place in the multimedia room at the rear of the cafeteria on the mezzanine level. We’ll reprise Club activities to date, discuss future initiatives and discuss Club leadership changes. In keeping with recent custom, we especially welcome members of NYC CERT and NYC ARES to join us, and to engage with us on programs of mutual interest. Our quarterly VE session will take place immediately following the Club meeting at 7pm. Walk-ins are welcomed, but please let Bill Kirkpatrick/WK2O know in advance if you plan to sit for an exam.